A large number of Brits are wanting to venture outside of Europe for their annual holiday of 2008, it has been stated. According to research from Cater Allen Private Allen, 63 per cent of Britons have said they intend to travel outside of Europe this year, with 20 per cent wanting to do so because they are looking for more adventure. A quarter of the study wanted to head away from Europe to visit somewhere more unusual that was not packed full of Brits. 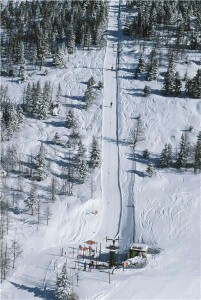 Many Brits are looking to destinations such as North America to embark on activities such as skiing. Travellers going on a holiday of this kind to that continent should be warned that a European Health Insurance Card is invalid and thus travel insurance is of prime importance. Specialist ski insurance can be picked up while a more general travel insurance such as travel insurance for sports and activities may suffice. Sally Ann Watts, head of marketing at Cater Allen, said: "This research shows that Britons are moving away from traditional holidays and becoming aspirational in their holiday choices." Sally Ann Watts, head of marketing at Cater Allen.